2 11 kilometers from Mengzi county town, Bisezhai had been the extra-large station on the Yunnan-Vietnam Railway. 11 kilometers from Mengzi county town, Bisezhai had been the extra-large station on the Yunnan-Vietnam Railway. 1 11 kilometers from Mengzi county town, Bisezhai had been the extra-large station on the Yunnan-Vietnam Railway. Being the juncture of the meter-gauge Yunnan-Vietnam Railway and the inch-gauge Gejiu-Bisezhai-Shiping Railway, the station was also the hub for cargo transshipment. In the prime years of the two railways, business people from France, the UK, USA, Germany, and Greece swarmed into Bisezhai to set up companies, firms, bars and coffee shops, whereas governments of the Qing Dynasty and the Republic of China had established post offices and taxation authorities there. Bisezhai has well preserved the major architectures of those years, such as the rows of French-style buildings, the passenger hall of the station, the big French railway clock and the Geluz Bar. 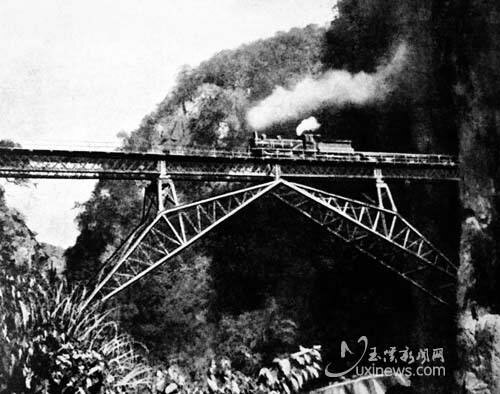 The giant Ren-shaped steel-frame bridge of the Yunnan-Vietnam Railway is located in Pingbian County. Noted for its unique design and delicate structure, the bridge has been registered as a key site of historical relics for national-level protection. 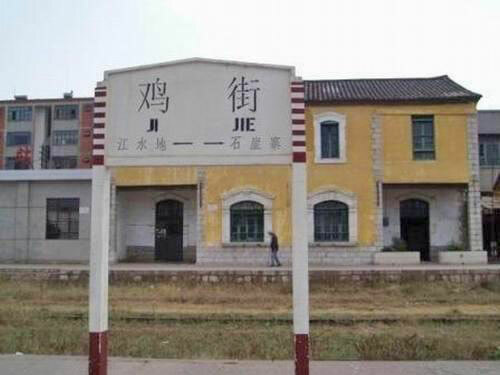 Jijie Railway Station of Gejiu Municipality was the transshipment depot of the meter-gauge and inch-gauge railways. The station has preserved an inch-gauge locomotive, which is the only survived one in China. Jijie Railway Station has been registered as a key site of historical relics for national-level protection. Hekou, which is one of the class-one national ports of entry, is 468 kilometers from Kunming. Across the Red River, Hekou overlooks the Vietnamese Lao Cai City (capital of the Lao Cai Province) and Gu Liu Town. Hekou is also the hub where the Yunnan-Vietnam Railway, Kunming-Hekou Highway, and the Red River route meet. Today, Hekou has developed into a trade- and tourism-centered city incorporating functions of border trade and border-area tourism.